I wanted to love Neverending Nightmares, but only came away mostly liking my time spent with it. 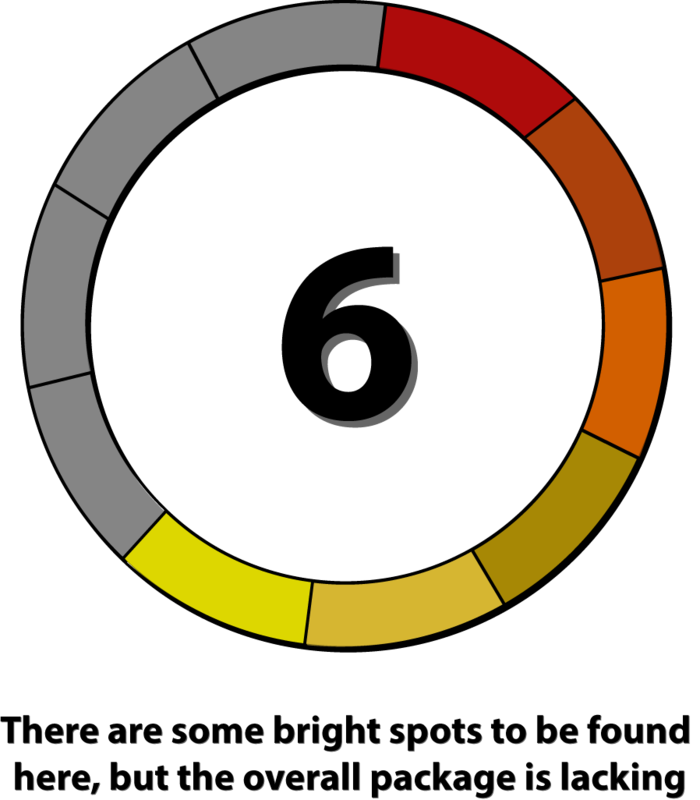 A creative visual style, good if slightly overused audio design and interesting story that pulls from real-life struggles with depression and OCD set the stage for a game that has its share of effective startling moments, but is held back by some occasionally frustrating game design. The game starts you off waking up from a bed with no context. 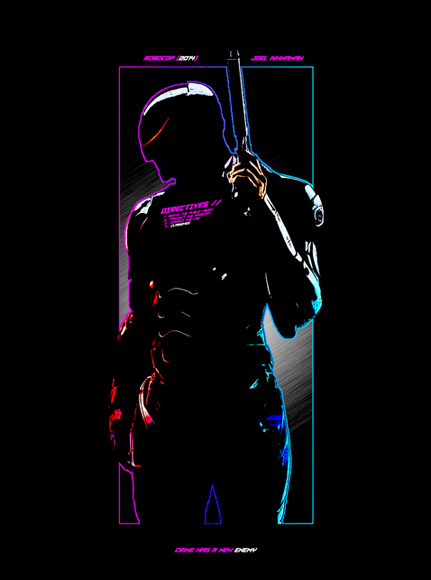 Your name is Thomas, and you are one of the slowest characters in recent video game history due to a sort of limp and a sprint button that if used too liberally will have Thomas bending over with hands on his knees sucking in wind like he just finished a marathon. This gameplay quirk immediately got me off onto the wrong foot despite a visual style that I really enjoyed. Thomas is a very simply animated character, but the use of contrasting lights and shadows with the occasional colored object to denote the ability to interact with it creates a stark and fascinating visual stage. As you wander through the house, things seem lonely, a little barren, but otherwise fairly ordinary. You will revisit these same hallways time and again, but subsequent visits will start to play with your mind as the wallpaper begins to rot, pictures hang at odd angles or are replaced completely and oh, yeah - there's a good chance you will find bloodied corpses, cracked dolls and strangely horrific creatures along the way. All of this is fairly ordinary horror fare, but it is elevated by the unique presentation. The audio design is also rather effective, sometimes playing through the PlayStation controller but mostly leveraging my surround sound to help sell the effect. If anything, I would say the random, whispered noises were used a bit too liberally, as by the end of the game I was largely ignoring them because they had lost their impact on me. One mechanic that does work exceedingly well for the PlayStation 4 that is probably missing from the PC and Vita versions of the game is how the rumble in the controller works. It does not get used very often, but when it does it helps to make the game just a little creepier, but it can also come in handy for warning you about these strange, misshapen and large baby-like creatures that want to bear hug you into submission. 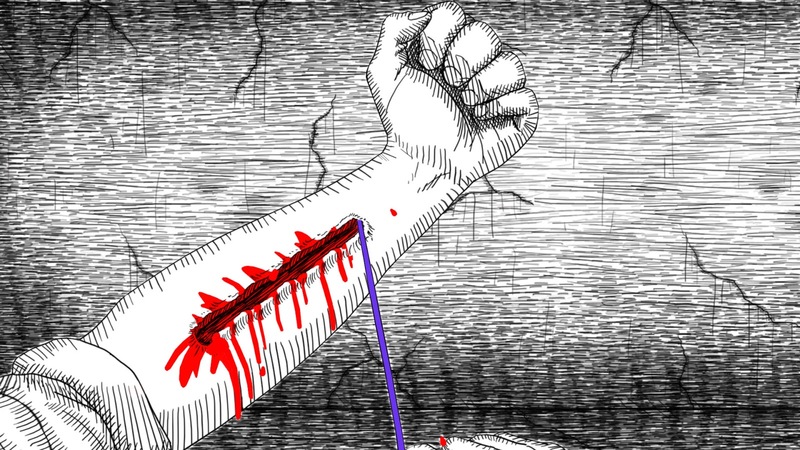 You will die playing this. Sometimes the deaths are scripted. 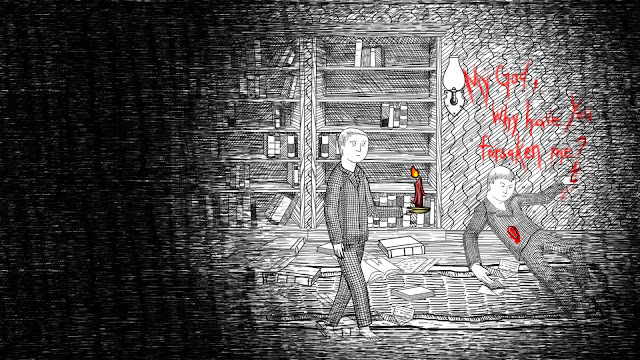 Other times they are avoidable as the game gives you light puzzle elements (such as finding a candle to help you navigate an otherwise deadly blackened hallway). There are only a few different kinds of monsters in this game, and once you have seen them all, you pretty much know how to deal with them. That being said, the zombie-like insane people were rather poorly balanced, requiring a lot of trial and error to figure out just what the 'safe spot' with them is or is not. The other two enemies were much more consistent and therefore less frustrating. The idea is that Thomas wakes up and lives out nightmares within nightmares (if Inception was perhaps a horror movie). Death wakes you up at a somewhat near bed, a forgiving checkpoint system that I appreciated as the slow walking that Thomas demonstrates already makes the experience feel slightly more padded than it should be. Of course, that padding does come in handy as the game itself is only about an hour and a half long on its initial playthrough. There are a trio of different endings and the game allows you to go back and experience them via a chapter selection option to streamline the process. I appreciated this as the story was what kept me primarily interested in the game long after the overall mechanics began to dull and lose their ability to really startle me. 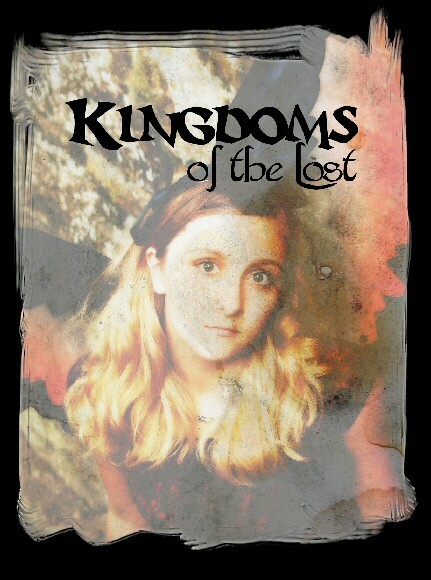 Now, the story endings are interesting, because they are contradictory as well as open to interpretation. I liked that just fine as sometimes the best horror lets you fill in your own blanks, and that approach works well here. The graphics worked really well early on as the play on lighting looks really good, and there is a thunderstorm early on that looks fantastic with the rain and lightning through the windows. All in all, the imagery is appropriately disturbing and it continues to grow more so the further into the game and its different endings you go. 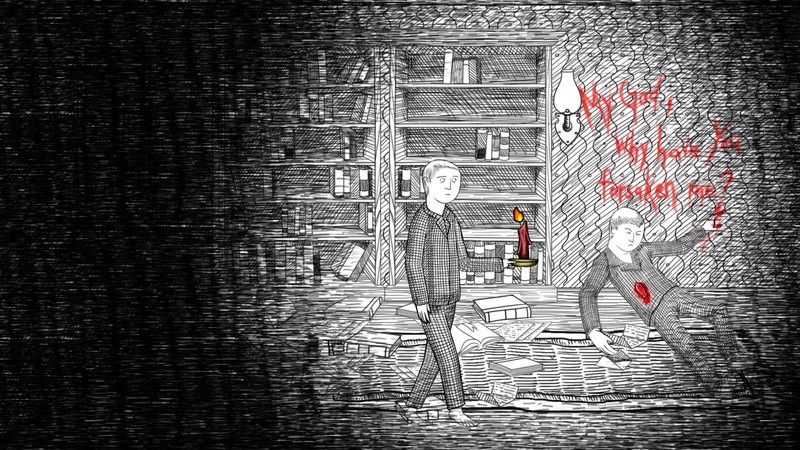 While both the source material and the overall atmosphere are really well done, the problem with Neverending Nightmares is that as an experience it works well, but as a game it has several warts. Thomas is slow and annoying to move around and some of the enemies are frustrating, as mentioned above. Also there is very little variance in the gameplay. You spend the vast majority of your time simply walking about, interacting with a handful of things here and there along the way. After a while the lack of meaningful interactions and variety coupled with Thomas' unwieldy trudge while walking can make for a game that lets down the overall experience. More to uncover, more to do and more consistency with the enemies would make for a better overall game and therefore, a more engaging experience in the end. 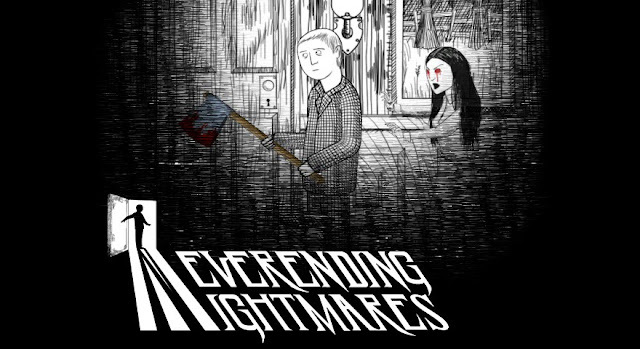 Neverending Nightmares is interesting, hauntingly beautiful and very atmospheric - all things you look for in a horror game. I found it thought provoking, but as an entire gaming package, I also found it somewhat lacking. I am glad to have had the experience, but there are several ways that the title could be improved upon as well. Worth experiencing, but due to its brevity and flaws, perhaps better value if picked up on sale later.